Which is your प्रिय किस album with Eric Carr? Do आप think that if Eric were alive he would be "the fox" on the tour now? 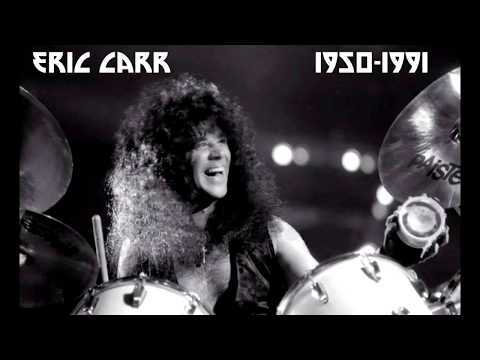 On November 25, 1991, I got a call from a friend telling me that Eric Carr, KISS' drummer, had just died. I was blown away. Flipping on MTV, my fears were confirmed. Dead at 41 years old... this really sucked. I made up my mind that moment that if the funeral was anywhere in New York I was going to it. The अगला दिन the New York Daily News reported Eric's death and info on where the funeral would be held. It would be in Middletown, NY. My grandparents live in Newburgh, NY, which is only about 10 miles from Middletown. "Hey man, what be this" and "What be that" and "Why आप gotta look like that?" Won't आप let me दिखाना you? Who was Eric's idol from the Beatles?